If you are tired of toiling for countless hours every year controlling garden weeds, it may come as music to your ears that some of them can actually be put to good use. Not that knowing this fact will eliminate weeding: You will still have to take steps to keep your garden from becoming overrun with unwanted plants. But there is something satisfying about learning that you can eat the weed that you just pulled up or use it to treat an ailment. 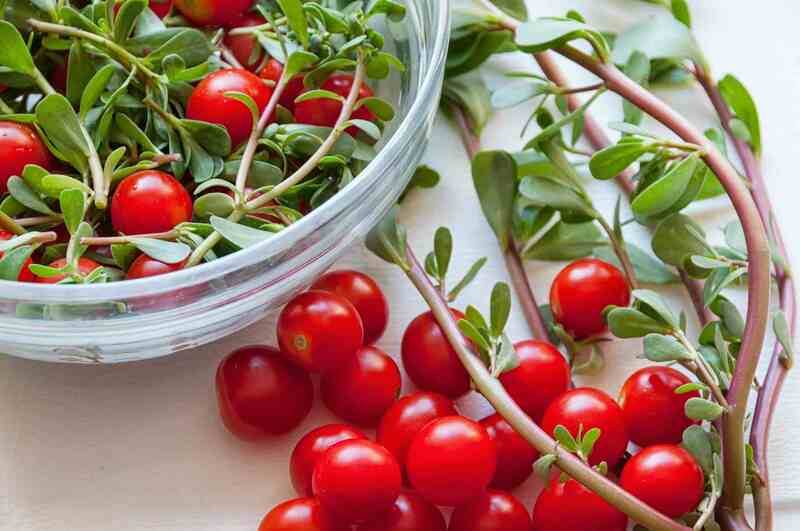 Purslane: Garden Weed or Garden Vegetable? Purslane (Portulaca olearacea) is related to the popular annual flower, moss rose (Portulaca grandiflora). The latter is grown as a bedding plant, appreciated for its colorful flowers, which come in a variety of hues. Purslane, a weedy succulent, is not much to look at. But it can be used raw in salads as a source for an Omega-3 fatty acid. Boil the leaves ("greens") and eat them like spinach. Roast the taproot and use it as a coffee substitute. 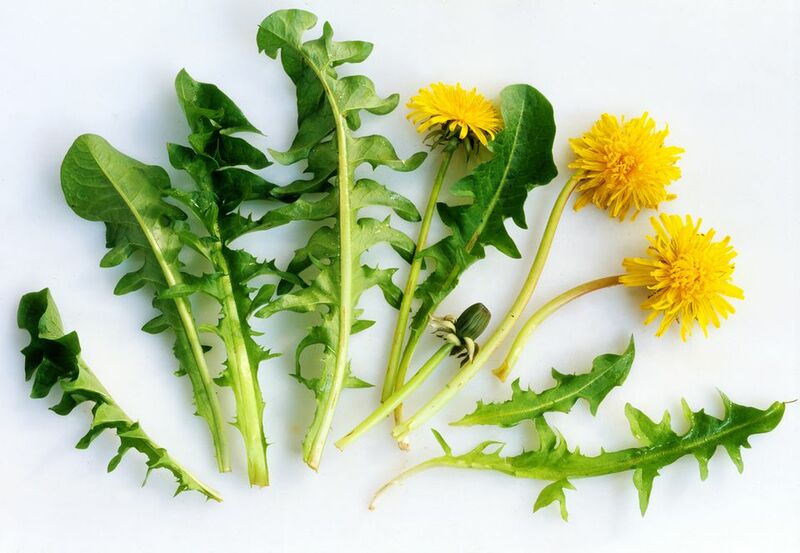 The flower can be used in a number of ways, the most famous of which is to make dandelion wine. Dandelion greens are very nutritious, being packed with vitamins and minerals. Although Viola plants such as Viola sororia are commonly called "violets," it is far better to stick to the botanical name in this case. People naturally think first of the popular houseplants that go by that name. But those are African violets (Saintpaulia spp. ), which are not edible. By contrast, one of the uses for Viola plants is as a food ingredient (they can also be used medicinally). Some people eat them raw in salads. Others cook them. All parts of the plants are edible. The best-known plant in this genus is the pansy (Viola x wittrockiana). It is preferred by gardeners over other types because of its larger flowers. But if you can stand to have something else in your lawn competing with the grass, leave the Viola sororia alone: On a smaller scale, they are quite attractive. White Clover: Soup or Salad? Not only can clover (Trifolium spp.) be used as a grass substitute for lawns, but the leaves and flowers are also edible. Use them raw in salads or sauté them. The flowers can be dried to make tea or used in puddings. A look at sourgrass (also commonly called "wood sorrel") will have you swearing that it is some kind of clover, but it is not. The plant's botanical name is Oxalis stricta, and you can harvest small quantities of the leaves for use in salads. The reason for the stipulation, "small quantities" is that plants in the Oxalis genus contain oxalic acid, which could make you sick if eaten in large amounts. There are other kinds of Oxalis, too. Growers take advantage of the plants' clover impersonation for use around Saint Patrick's Day as "shamrocks." With its purple foliage, Oxalis regnellii is simply drop-dead gorgeous at any time of year. Many gardeners are so disgusted with Japanese knotweed (Polygonum cuspidatum) over the amount of time and energy that they have spent battling it over the years that they are stunned to learn that the tender young shoots are edible. They can be cooked and eaten in many ways, including in traditional Japanese dishes. Be careful here, though. Harvest the shoots from these garden weeds only in areas with which you have been intimately familiar for decades. Since so many homeowners and municipalities have tried to eradicate Japanese knotweed over the years using herbicides, do not harvest any from property that you have just moved onto or from stands growing along roadsides. Stinging nettle (Urtica spp.) is another garden weed that many may consider an unlikely source of food. Its spines, which cause an itchy rash upon contact, make the plant look about as appetizing as a barbed-wire fence. But if the leaves are harvested from young plants and cooked enough, the spines become a distant memory. Treat the boiled leaves, which are rich in iron and vitamin C, like spinach, or use them in a soup. Caution should be taken when harvesting stinging nettle so that you can avoid getting the rash. But if you forget to wear your gloves and your skin comes into contact with this garden weed, look around for some yellow dock (Rumex crispus). Pick off some leaves from the latter, roll them between your thumb and forefinger to crush them, and then apply the pulp to the affected area on your skin. This salve will take some of the sting out of the itch. The new leaves are also edible. Chop them raw into salads or cook a soup with them. Jewelweed (Impatiens capensis) is another great salve, only, in this case, the plant being counteracted is poison ivy. Jewelweed can have either orange or yellow flowers. Those flowers eventually turn into seed pods that are fun to pop (the slightest touch sets them off). Crush the swollen stems to release their soothing juice and rub it on skin areas that have been accidentally exposed to poison ivy. It is not only plants that can cause us discomfort while trying to enjoy the outdoors. Bee stings are no fun, either. The crushed leaves of broadleaf or "common" plantain (Plantago major) can be used as a salve to relieve bee stings. You can also eat the leaves of these common weeds (the new leaves are best). Use them raw in salads. Older leaves can be boiled and eaten like spinach.